For those who don’t know already, Fangraphs.com is one of the best sites on the web for baseball. Whether it’s advanced statistics or more old school counting stats, Fangraphs has it all. Fangraphs also houses several projections systems, including the ZiPS projections created by ESPN’s Dan Syzmborski. Those ZiPS projections are released every year, team-by-team until every team has been covered. Well a little over a week ago, Fangraphs released the ZiPS projections for the 2016 San Diego Padres. You can view those here. Before we get into those projections, first a little background on how those projections are created by Dan. After first appearing on baseballthinkfactory.org, the ZiPS projections have appeared on Fangraphs the last several years. In the most basic form, ZiPS projections are computer based projections of performance for the upcoming season. These projections take into account past performance to get a player’s projected performance for the upcoming season. However, there are a few caveats with Dan’s system. One, these projections do not account for injuries or predict playing time. Therefore some players may not see as many at-bats as they are projected to have here, most likely due to being in the minor leagues. Also, the total WAR for each position are based on playing time, so simply adding up the WAR numbers of each player at a position will not get you the total for that position. Second, the WAR values calculated do not add up to get a projected team WAR. The system is more for an evaluation of individual player performance than an assessment of the team’s total value on the field. Finally, since the WAR value calculated is slightly different from other systems it is given it’s own name: zWAR (for Szymborski). 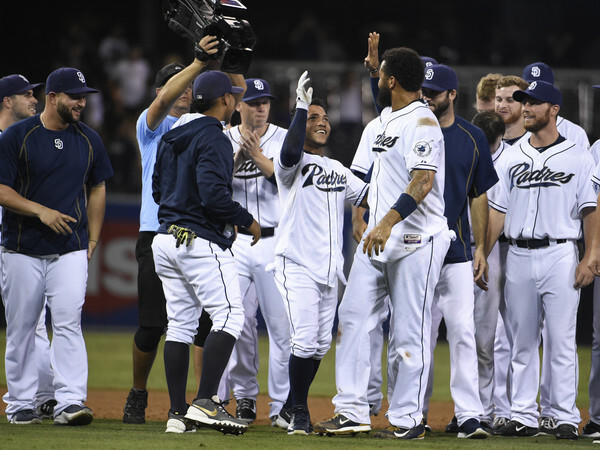 With that description out of the way, it is time to look at a position-by-position breakdown of the Padres ZIPS projections and how the Padres stack up for next year. The names below at each position were decided on using a combination of both the Fangraphs depth charts as well as Dan Szymborski’s own evaluations.